First of all i want to say that i am a great fan of Dickens. Now I have to present a paper about "David copperfield". "Influence of Agnes over David" if anyone have any materials or idea about it,or if anyone have prepared this ,please help me..
"-_Influence of Agnes over David_-"
Agnes,Mr. Wickfields daughter and David�s good angel, is Dicken�s concept of ideal womanhood. Modest and self-effacing, she is serenely beautiful. Her face gives an impression of tranquility and peace. Her face has brightness, a serenity which impress David during his first meeting with her which linger in his memory ever afterwards. She also possesses adequate strength of character.David comes to Mr. Wickfield�s house as he gets no residential accommodation in Dr. Strong�s school.He stays with the Wickfields and is looked after by Agnes. Agnes is an affectionate and devoted daughter. She has sacrificed her own schooling in order to look after her father. But while staying at home she tries to improve her knowledge by reading in her spare time learning from David and others. She is an intelligent and sensible girl. When Mr. Wickfield is in Heep�s clutches, she tries to save her in all possible ways. The very incarnation of duty and devotion, she protects her father and comforts him during those dreary days. For all these qualities she possess, she exercise an influence over David from beginning. David experiences his first moral dilemma when Agnes�s influence comes into direct conflict with Steerforth�s. After seeing David drank at theatre, Agnes suggests that he should shun Steerforth�s company. This suggestion throws David into conundrum about which person he should trust. He is not yet mature enough to reject Steerforth�s seductive charisma in favor of Agnes�s quite contemplative love. Besides Agnes, Steerforth also influences David by his captivating character. But their influences pull in opposite directions. While Agnes represents David�s �good Angel�, his conscience and his dependability, Steerforth urges David to take risks, drink too much, and be critical of the people around him. Agnes represents calm,considered reflection. Her energy is always directed, peaceful, and quite.While Agnes encourages David to take correct path for the sake of morality, Steerforth insists on spending money and commanding servants around at his will. In this manner, Agnes and Steerforth put David in different directions throughout the novel, forcing him to choose between good and bad. Though, it takes her a longtime, and it is difficult for David to free himself from Steerforth�s hold, Agnes wins his heart in the end. David gains control over his own emotions, he fully appreciates Agnes and choose her over Steerforth. Agnes not only exert positive effects on David but also require him to assert his identity by choosing between her and Steerforth. The novel ends with David�s apostrophe to his true wife: �oh, Agnes, oh my soul, so may thy face be by me when I close my life indeed; so may I, when the shadows which I now dismiss, still find thee near me, pointing upward !� For David, Agnes is pointing to a world he hopes lasts beyond the worlds of shadows. For Dickens, Agnes is an idealized vision of beauty and serves as a presence and influence of that spirit that directs David�s life. The ideal has allowed David to become the hero of his life, not by possessing the ideal but by acting on its inspiration. The artist becomes artist as the result of realizing his imaginative vision, of creating art. David�s imaginative creativity, inspired by Agnes, allows him to order his universe. 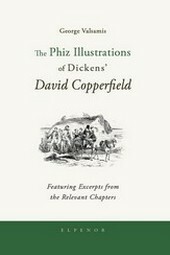 The very power that allow David Copperfield to succeed as hero are the powers that allow Dickens to create David Copperfield.